Country Garden Transplanting Hand Trowel. 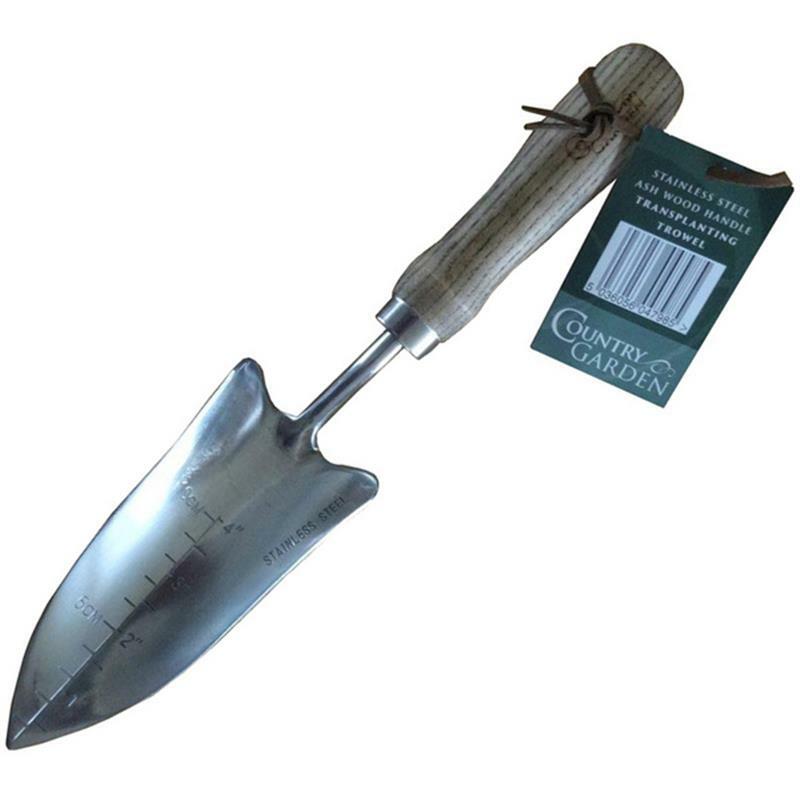 This transplanting hand trowel has a specially designed blade with metric and imperial measurements on for transplanting small plants for planting or repotting. Features include a polished stainless steel head for resistance to rust and solid ash wooden handles providing that unique, vintage appeal.